Yesterday, Mattel announced a long-overdue expansion of their Barbie line to include a wider variety of silhouettes and skintones. Those that know me and my soapboxes were undoubtedly unsurprised when I shared a link to Time’s cover story about the announcement, explaining that I’d actually consider buying a Barbie for my daughter for the first time. A friend responded with the classic Barbie vs. He-Man comparison, an oft-cited example of feminist double standards. No doubt. Even GI Joe has biceps almost as big as his waist. Boys’ toys portray a body image that is usually physically impossible to most (if not all), just like girls’ toys. There’s a difference though. If a boy grows up not looking like He-Man, he generally shrugs off a mild disappointment and focuses on his skills, talents, and other potential contributions to society, his circles of influence, and his wife. He looks at his body and says, “this is not ideal, but I can work with it.” And he then has to specifically think about it to be reminded of this unfortunate circumstance. 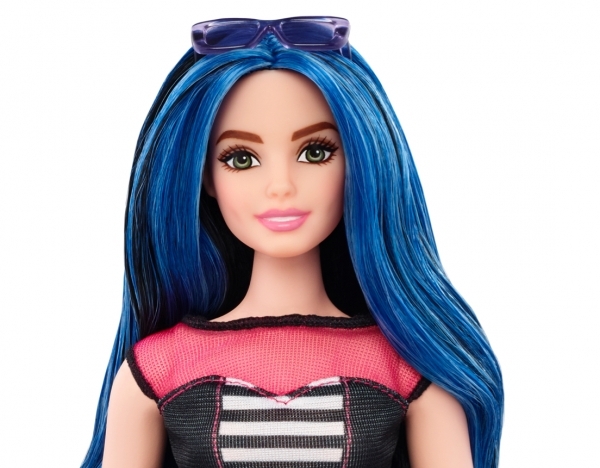 If a girl grows up not looking like the former Barbie, she generally believes it a deeply personal failure and is sabotaged by insecurities that hinder the discovery and development of skills, talents, and other contributions. She looks at her body and says, “I am not ideal, and who would want me?” And she never has to bring to mind this insufficiency because there’s an entire culture bombarding her with reminders of her own lack of beauty every second of every day. I believe there’s something built in to a female that needs to be found beautiful by someone else, ideally with beauty recognized both inside and out. A male, on the other hand, generally sees being handsome as a simple convenience factor at most, an admittedly well-built leg up on the competition, as it were. A woman’s options are (1) to accept the burden of her lack of beauty, doggedly pursuing a standard that forever remains out of reach and eeking out an existence defined by those who would prey on and profit off her insecurities, (2) to attempt to turn off that psychological need to be found beautiful and forfeit a God-crafted aspect of her individuality on the grounds of its mere vanity and superficiality, or (3) to buck the system and embrace her own beauty for the individualized gift it is, only to face the unrelenting venomous backlash of an ignorant culture architected by misogynist men and funded by deceived women too caught up in their own brutal race for arbitrary “perfection” to understand how someone could contentedly and unabashedly opt out. Obviously, there are exceptions to these generalizations, but I’d bet good money that those exceptions are rooted in the psychological trauma and/or defense mechanisms of a fallen world more than in-born wiring. I’ve yet to meet a woman who doesn’t struggle with insecurities rooted in body image, and I’ve yet to meet a man whose career, relationships, and personal development are paralyzed by body image (we men have other vices). I look at my lack of He-Man body like I look at my lack of He-Man super powers: it’d be cool to have them, but I do just fine without them. 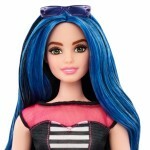 While I would love to see this new line of Barbie carry the torch even further (a wider variety in waist-to-hip ratios, bust sizes, facial features, and physical handicaps), the shift of this long-established icon of female “ideals” toward a more inclusive image may be indicative of a broader cultural shift I find most welcome. I applaud Mattel for resisting the gravity of the status quo and pray this is only the beginning for them and other influencers on our nation’s daughters.